"Lipsticks are my tiny bundles of joy, anytime a new lipstick added in my stash pour a glass of happiness in my soul...no matter how many lipsticks I bought till now but I will never say "NO" to the new one..."
A bright apricot cream matte lipstick (that's how mac describes this shade) is the talk of the post today. Mac ABLAZE lipstick was re-prompted by Mac in their BLUE NECTAR COLLECTION in JUNE 2016(seriously, I forgot the collection name , so had to ask my friend again :P ). 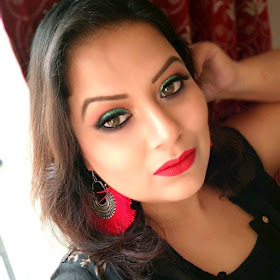 There was 11 shades of lipstick that launched in this collection, in which I decided to pick only this one as most of the other shades are pretty dupeable whereas MAC ABLAZE was a unique and hottest selling shade among all. Although the lipstick is from a limited edition collection but it comes in a regular black case lipstick packaging of Mac cosmetics. The vanilla scent of the lipstick is the signature one. 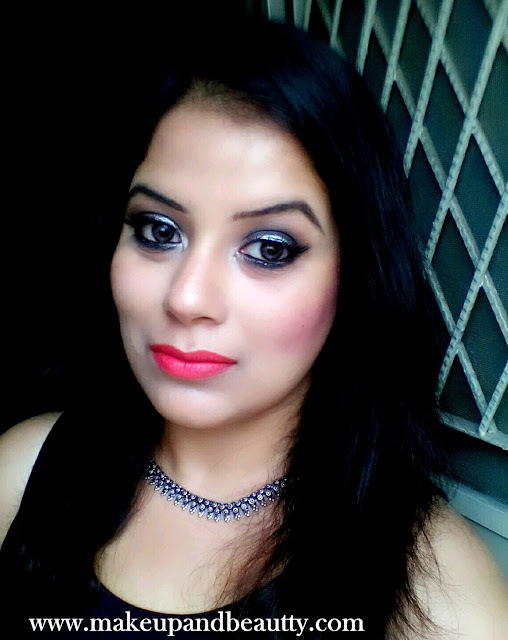 MAC lipstick ABLAZE is a beautiful matte coral red lipstick. It has a very light sheen in the lipstick, so you can say it is not that typical mac matte lipstick. The texture of the lipstick is like Mac satin lipsticks as it glides smoothly on lips without any tugging or pulling. With gradual time the lipstick turns into a comfortable matte on lips which is not that much drying like the retro one. 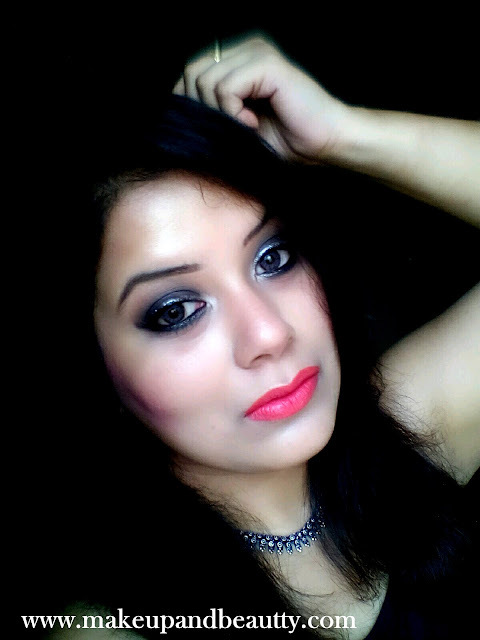 The lipstick looks quite neon and bold on the tube but once it applied you can see it is not neon but a very nice coral shade that are perfect for fair to medium skin tone beauties mostly. It is medium pigmented that need two swipes to get an opaque coverage. The lipstick doesn't smudge if applied without a lipliner. It stays pretty 6 hours plus on my lips and leaves a light reddish stain on my lips. The lipstick fades unevenly after a heavy meal or oily foods from the middle part of the lips so reapplication of lipstick is suggested. 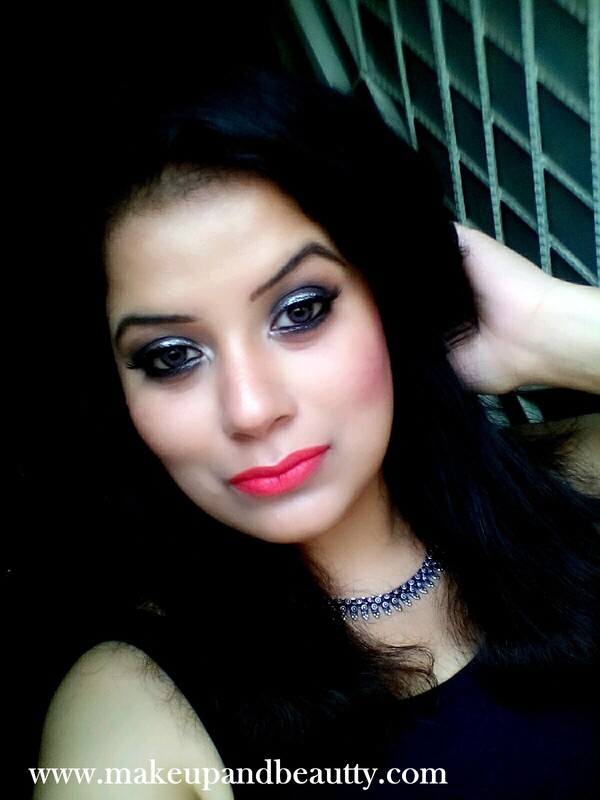 Mac lipsticks are the best lipsticks till now for me as I am a big fan of this brand. But still, sometimes this brand disappoint me and sometimes it amazed me. So, when it's about MAC ABLAZE lipstick, I am amazed at the shade, pigmentation and texture. I love the way the lipstick brighten up my entire face. I love the unusual coral -red color that just added to my stash apart from usual pinks and reds. Overall I am in love with the shade. Here is the picture of closest dupe of MAC ABLAZE LIPSTICK that include COLORPOP ULTRA SATIN LIPS IN 'NAKED LADIES' and JEFREE STAR LIQUID LIPSTICK IN 'WATERMELON SODA'. Did you like the shade? what's your favorite brand of lipstick?